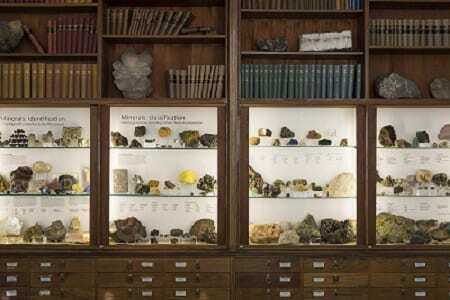 A Geology Museum has existed at UCL since 1855 (UCL was founded in 1826), 14 years after the first professor of Geology, Thomas Webster, started at UCL. However geology has been collected for longer – the first recorded donation of geology specimens to UCL came in 1828 from a Mr. Davies Gilbert. Today the collection consists of over 100,000 specimens, from microfossils to large trace fossils, and ranging in age from c4.5 billion year old meteorites to relatively recent fossils (including my favourite fossil crab). Tags: behind the scenes, Extinction, fossil, geology, Geology Museum, We are moving!